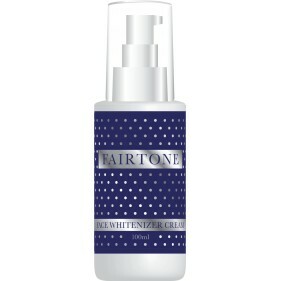 Fairtone Face Whitenizer Cream is clinically proven to lighten the skins tone and complexion. The deeply nourishing face cream is quickly absorbed in to the skin and begins to work instantly. Fairtone Face Whitenizer Cream is a high performance fast acting complexion fade cream which help's fade skin discolouration such as hyper-pigmentation, birthmarks, moles, freckles, acne scars, melasma, and age spots among others, ensuring a more even tone to your skin, and a significantly lighter complexion. • Fairtone Face Whitenizer Cream is proven to lighten the skins tone!• High performance fast acting complexion fade cream!• Ensures a more even tone to your skin, significantly lighter complexion!• Deeply nourishing face cream is quickly absorbed in to the skin! 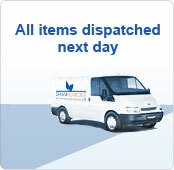 Fairtone products are guaranteed to give you a lighter, brighter, more even complexion - fast! • Fairtone products are clinically proven to whiten your skin tone- fast!• Fairtone products are formulated using safe and natural ingredients!• Vigorously tested products and are guaranteed to give you results!• Fairtone products are made in the UK, using high quality ingredients!